ANAHEIM, CA -- The popular Twilight Zone Tower of Terror attraction at Disney California Adventure Park will close for good on Jan. 2, 2017, officials said. 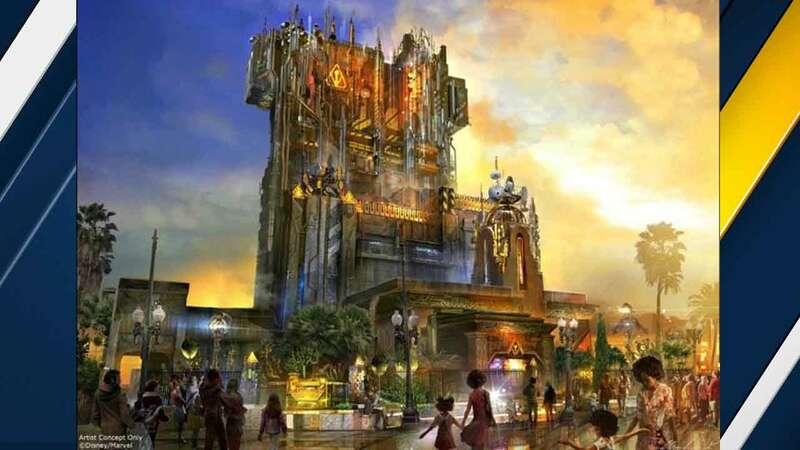 Disney announced at San Diego Comic-Con in July that the elevator-drop attraction, based on the 1960s horror television show "The Twilight Zone," would be transformed into a "Guardians of the Galaxy" ride. Officials encourage guests to experience "Late Check-Out" on the Tower of Terror - a chance to ride the attraction in complete darkness. It's part of a special celebration of the ride before it's gone for good. The new ride, officially named Guardians of the Galaxy-Mission: BREAKOUT!, will debut in summer 2017, Kevin Feige, President of Marvel Studios, said in July. Disney guests will be launched into a "chaotic and hilarious" ride as they join live-action Marvel Rocket Raccoon in an attempt to break his fellow Guardians out of captivity. The attraction will be a free-fall ride with the latest visual and audio effects. Reactions on social media about the transformation of the iconic tower were mixed. YouTube sensation Jimmy Richardson tweeted "Leave Tower of Terror alone." A petition to preserve the ride was also gaining traction on the website Change.org, with thousands of supporters signing up. The new attraction will mark the first time Disney incorporates characters from its Marvel superhero universe at the theme park. The Walt Disney Company bought Marvel Entertainment Inc. in 2009 for $4 billion. City News Service contributed to this report. Disney is the parent company of abc13.